Spoiler alert: This review contains several spoilers. If you haven’t seen the movie Lionheart and want to not know what happened until you see it for yourself, you may not want to read this. A few years ago I interviewed Genevieve Nnaji for the Africa Report. One of the questions I asked concerned her decision to take a small role in “Half of a Yellow Sun” when everyone else thought she should have played Olanna, the lead role that went to Thandie Newton. Very calmly, she told me she had personal reasons for taking part in the Biyi Bandele film. Lionheart, Nnaji’s second film behind the camera, but her first as a director, shows that whatever those reasons were, they matter to her still. The new film is a crowd pleaser as well as an advertisement for Igbo industry. When it starts, a group of area boys are protesting at the premises of Lionheart, a transport company in eastern Nigeria. The founder’s daughter, Adaeze Obiagu (Nnaji), comes out and resolves the issue. The idea is to establish the character’s cool competence. The execution, though, is a tad awkward. Not long after, her father, Ernest Obiagu (Pete Edochie), has to take his hands off the business, which is in trouble, and although Adaeze believes she is the natural successor, an uncle is named head instead. The uncle is played by Nkem Owoh, who, one has to guess, was happy to be asked by Nnaji. He plays himself as he always does, with cunning and comic charm, but, if anyone was really thinking, his character’s eccentric nature should do nothing for the troubled company. He seems to only make jokes and moves that get him in jail—almost like he is back in the 1990s playing the drunk in Ikuku rather than the acting CEO of a company. I had a thought: If this is the kind of decisions Ernest Obiagu routinely takes, it is little wonder that his company is in trouble. Still, Adaeze has to work with the man to rescue the company from the hands of rival businessman Igwe Pascal (played with evil panache by Kanayo O Kanayo, possibly the only Old Nollywood actor who has gotten better at acting). Together they have to try to save Lionheart, even if it takes them to other parts of the country. Back when Genevieve was a starlet in Nollywood, this sort of a storyline could have devolved into a power tussle that would lead to a bloody ritual and several dodgy visual effects, but the actress-turned-director is on a sanitizing mission. The only trick in her first film behind the camera as a producer, Road to Yesterday, was an over-clever wishful hallucination. This time there are no tricks. She wants you to love her. And so, we have a very safe and conservative piece of cinema. Save for an inexplicable semi-dusk covering the picture’s every scene, Yinka Edwards’ cinematography is merely competent: muted as he is, his work is brilliant still, but not in the same way it was in Kunle Afolayan’s October 1 and Kenneth Gyang’s Confusion Na Wa. There is more silence than sound and the film’s screenwriting is sometimes pallid—as if Nnaji is seeking arthouse texture for a story that doesn’t quite have the psychological heft or aesthetic ambition of films of that nature. 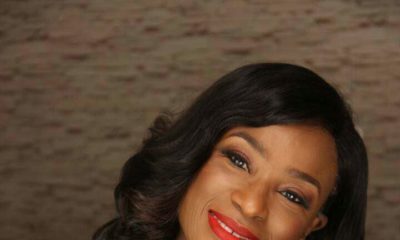 (This disconnection gives some credence to industry rumors concerning a New Nollywood director kicked off the project.) The effect is a stillness that in Nollywood terms is quite close to flatness, especially in the early scenes. And yet, the story is heart-warming and overall the acting by the ensemble cast is not shabby. Most of the ensemble gets a chance at a dining scene that is good but not quite great, as not everyone hits the right notes at the right time. Better is a scene where Adaeze works a board in a bid to figure out a solution to the company’s problem. She sits and stares at the board as the camera pulls back to take a measure of the room. At that moment, one is reminded of the talents of both Nnaji and Edwards. It is a short but impeccably framed scene. 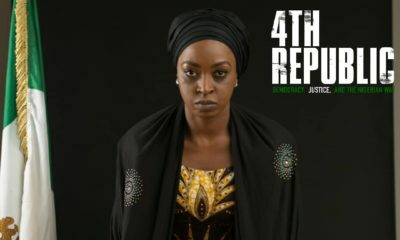 Fact is: by playing the film’s protagonist, Nnaji has cast herself in the role she most excels at these days: a character constructed entirely out of pixels of propriety. One of the poorer scenes in Road to Yesterday featured her character losing control at a club. That scene failed because Nnaji has traded an actor’s range for a queen’s comportment. Nothing wrong with that, but she is bound to run into trouble with scenarios demanding more than a regal bearing. In this film, she only has to be something reckless in a scene with Peter Okoye, formerly one half of pop group P-Square. His attempts at seducing her works until—let’s go meta—Genevieve had a word with Adaeze: “Girl, this is bad for our image,” she might have said. And thus, viewers are spared the unpredictability of a regal romp. 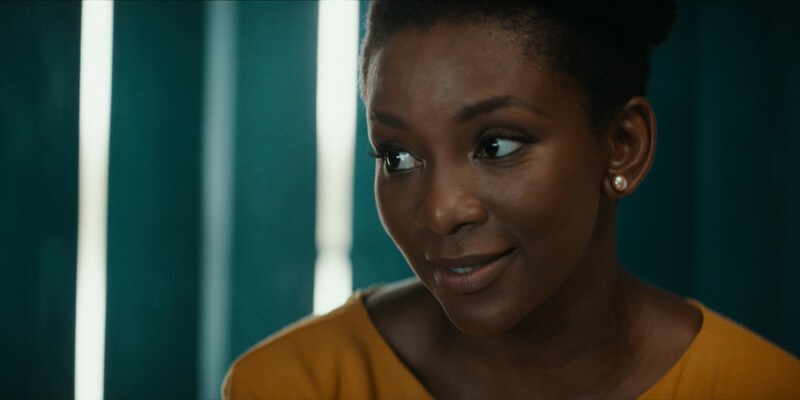 But yes, speaking seriously, there are less self-centered issues addressed by Lionheart: Besides the patriotism that necessitates a subplot featuring characters from northern Nigeria, the film has something to say about sexism, its ideas about tribalism are undisguised, and the use of Nollywood stars of different generations is about ageism. 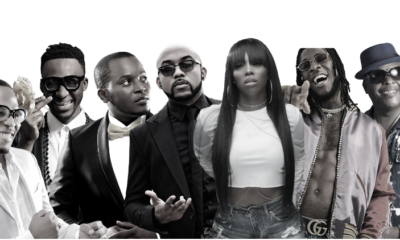 The point about sexism as it concerns female competence is well-made; the Igbo pride in using pop acts Phyno and Okoye is passable but far short of the excellence of rapper Reminisce in Kemi Adetiba’s King of Boys; the bit about ageism is commendable as both old and young deliver what is expected. And with all of these issues Nnaji addresses, it is remarkable that somehow her film is worthy of its place on the big screen. In a time when we have mostly films that are less cinema than TV soaps, like Chief Daddy, or adverts for good causes, like Up North, or religious pleas, like God is Calling, Lionheart is truly cinematic. Little wonder Nnaji insisted on getting a spot for it at our cinemas before it shows on Netflix. One last note: During the interview I mentioned at the start of this review, Nnaji bristled at my suggestion that there is something called New Nollywood. I think there is New Nollywood but I see where she stands: If you see yourself as a link between Old Nollywood and New Nollywood, as both Igbo and Nigerian, and as a connection between Nigerian cinema and world cinema, you might insist and insist on the value of finding more similarities than differences between the worlds you belong to. That would make you you. But if you are Genevieve Nnaji, you would state your point neatly to an interviewer and, years later, you might make Lionheart. Oris Aigbokhaevbolo is a critic and essayist. His writing on film, books and music appear in The Guardian UK and The Africa Report. He mentored critics at the Durban Film Festival and has attended critic academies in Germany and Holland.In 2015, Aigbokhaevbolo became the first ever winner of the Music/Entertainment Journalist of the Year award (AFRIMA). He tweets @catchoris. Same here…. well written and balanced. He was right to point out that Genevieve has been permanently type cast into that Victoria Beckham type persona. Poised, cool and fashionable. I don’t know why ethnicity is being harped on so much in this review. Is it because its Igbo people playing Igbo people? Would it have being different if it was people of different ethnicities playing Igbo people? Talking about Igbo pride in using Phyno and Okoye. Were they really used because of Igbo pride or to drive their fan bases to see the movie or because they had a previous friendship with Genevieve? On a serious note… This ORIS guy, I don’t really understand this your style but you need to stop it with this pattern of review of Genevieve’s movies… You did same thing with your Review of “Road to Yesterday” in fact that one was worst… You are doing same again here. If you want to review a movie, review it an move on… If you want to write an article about Genevieve, then state it clearly that that’s what you are doing. This minute you giving a biography of her, the next minute you are talking about Road to Yesterday, the next minute half of a yellow sun… Just stick to LIONHEART please, you are reviewing LIONHEART and not Genevieve Coz the whole thing looks personal as if there is an element of beef. And to think you are the first person I am seeing that is not appreciative of Yinka’s work in this movie, well you are entitled to “your opinion”. @James, Genevieve directed and starred in the movie. I don’t see anything wrong with the writer comparing Lionheart with her previous work. How is that beef? Loved how she entwined her Igbo culture in the movie. Keep raising the standard Genevieve, the sky is the limit. Very well written and on the nose too. Good read! I’d like to read his review on King of boys and other 2018 movies. The only reason u will be worried about the “spoiler” is because d movie is flat and bland. I just watched the lionheart movie. Great cinematography with a great cast-so many veterans. The storyline was as this reviewer put it, heartwarming. A departure from the typical father dies, wicked uncle tries to take over family business naija storyline. I feel that the movie reflected many parts of Geneveive personality-her commitment to daily exercises and her fashion sense for example. But what shone through the most was that it was so…restrained. I kept on waiting for the #Nigeria factor. You know, the vibe that comes with #naijajollof #naijaweddings #lagostraffic and #naija. It was missing. Just like the reviewer writes, Genevieve has traded her actors range for the queens comportment and that repression and the need to appeal to a wider (global vis a vis netflix) demographic comes through and that perhaps was my greatest disappointment with the movie. That said, it explored issues of sexism, ageism, tribalism and so many isms. Nollywood would get better, just give it some time.